The creator (me) of POW! Right in the Nostalgia is taking a week long rest, but in my place as mentioned before, will be guest comics done by various Comic Fury artists, of which I thank them all greatly for doing. Anyway, There are going to be guest comics all SEVEN days this week, so welcome to Day 3 of POW! 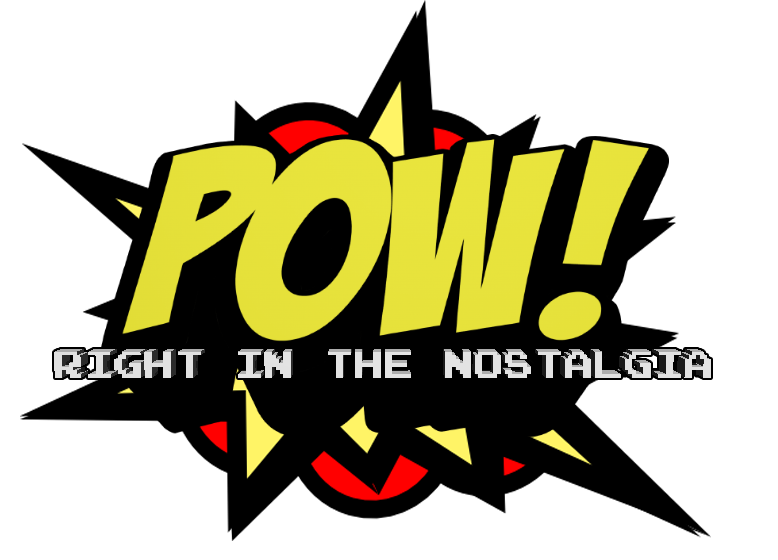 Right in the Nostalgia's Guest Comic Week! The subject... Well, first let's see if you guys and gals can recognize what famous movie and video games characters everyone seems to be dressed up as in this comic. Otherwise, the subject is the ET video game for the good old Atari. A game that sold so badly, Atari was for years only rumored to have buried every remaining copy in a huge landfill out in the desert for decades. Heck, the Angry Video Game Nerd of YouTube fame focused an entire movie about the game and searching for it, that kind of goes similar to how this comic hilariously ends. With military and aliens. True, but no one can really deny their existence fully to really go 100% against people using it as an excuse for blame. The game was before my time for sure. Heck, the entire Atari game systems run and video game crash was even though I was alive. Just way too young to remember things yet. My first game experience was a machine called the VIC-20, followed shortly after by the class NES. I remember it was the first 'cartridge' based game system we had, but you still had to type stuff into the computer to get the games to run, much like a lot of computer games at the time. God, it's been so long. Twists can be good or bad depending on the situation. The 80s were definitely a different time for gaming. Heh. Would have been funny if Nintendo ever had a bunch of their game flops buried somewhere...like the Virtual Boy. 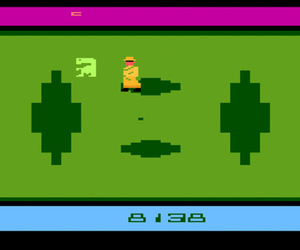 I owned ET for my Atari 2600, but I was too young to understand what a "bad" game was. I just kept trying it, constantly getting frustrated by those damn pits and wondering why it seemed more chore than fun. You were simply learning early on about good and bad games is all. Bad games being ones you didn't have fun with. Good ones being the games you played religiously. With how E.T. is in pop culture lore and whatnot, I think Atari WISHES it was made up and not real. I really hate those gray aliens, gave me the creeps as a kid. Luckily Joe Jordan's writing helped me get over that fear. I enjoy that they're the first aliens you fight in X-Com games and generally can obliterate easy enough.